Following the gigantic success of Guardians of the Galaxy—and its highly anticipated 2017 sequel—The Walt Disney Company, which owns Marvel Studios, is looking to expand the superhero presence at its global collection of theme parks. To coincide with the release of Guardians of the Galaxy Vol. 2 in theaters next May, Disney will debut Guardians of the Galaxy – Mission: BREAKOUT! at Disney California Adventure in Anaheim next summer. Instead of building a completely new attraction from the ground up, Disney will re-theme The Twilight Zone Tower of Terror into The Collector’s fortress-like museum of oddities from around the galaxy. Guests can enjoy the ride’s multiple levels while trying to help Rocket Raccoon release his galactic cohorts—including Star-Lord, Gamora, Drax the Destroyer, and Baby Groot—who are now prisoners on display in the museum. 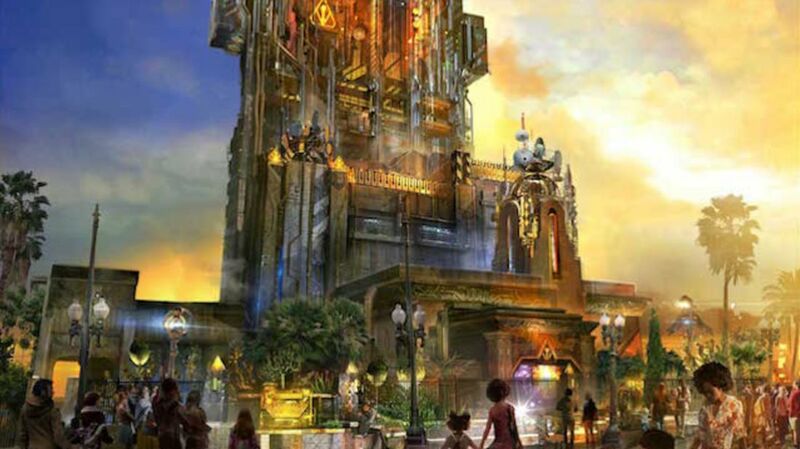 The new ride will feature the same thrills and mechanics as The Tower of Terror's random stops and 13-story freefall drop, but with the sights and sounds from the very popular Marvel Cinematic Universe movie, including its fun soundtrack featuring songs from Blue Swede and The Runaways. The Tower of Terror will close in early 2017, only to reopen as Guardians of the Galaxy – Mission: BREAKOUT! later in the summer. Guardians of the Galaxy Vol. 2 will hit theaters everywhere on May 5, 2017.